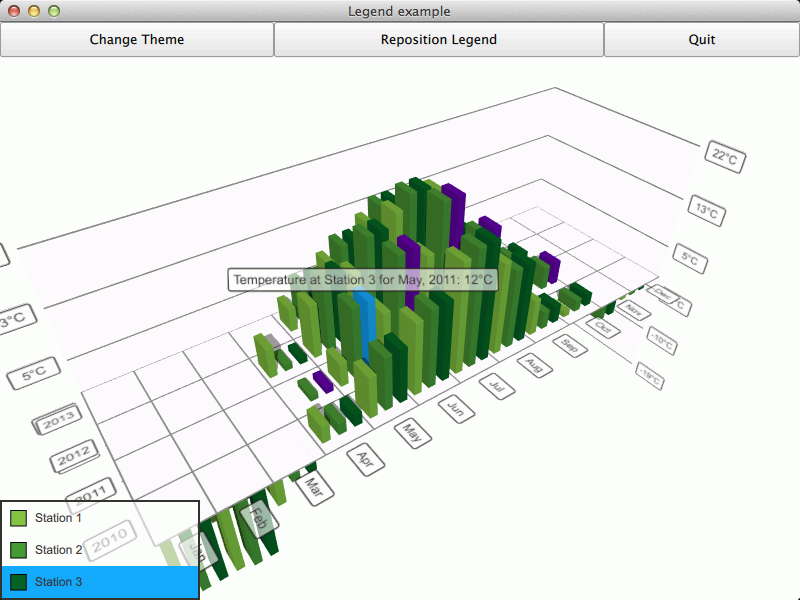 The Qt Quick 2 legend example shows how to make an interactive legend for a graph. The interesting thing about this example is displaying the legend. We'll concentrate on that and skip explaining the basic functionality - for more detailed QML example documentation, see Qt Quick 2 Scatter Example. We want the legend to be interactive, so we add additional logic to enable selection of a series by clicking on a legend item, as well as highlighting the legend item corresponding to the selected series.